KGTV-10 went so far as to roam Paseo Delicias, Rancho Santa Fe's main drag seeking the truth about President Obama's trip. Somewhat idealized view from the 9th Hole at Crosby Estate Golf Course. President Obama comes to town for a little golf, little luxury, little fundraising. 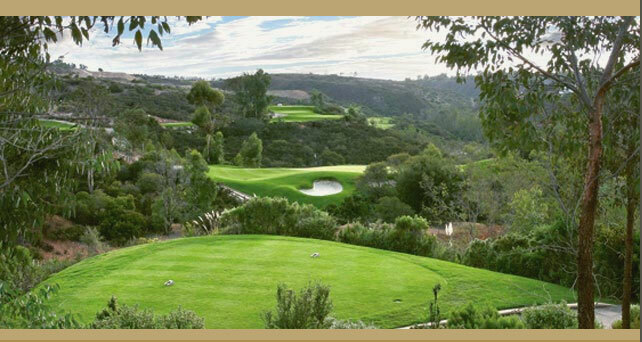 All systems were go, go, go for President Obama to walk among the wealthy, and play some golf, in North County San Diego, just a few miles down Del Dios Highway from Escondido this weekend. Details cascaded forth from the visit as the president played golf at Torrey Pines. He was photographed practicing at the driving range before driving a golf cart to the course. The White House said he played with Mike Ramos and Darrell Harrington. Investigations into the situation yielded observations that Ramos might be the San Bernardino County District aAttorney and Harrington might be a Torrance doctor. News of the visit began with quiet rumors on Thursday that escalated into full-blown anticipation Friday. The White House didn’t release a weekend schedule for the Commander in Chief and didn’t respond to Grapevine queries on the grand visit. Other sources across the region continued to point to a weekend around town, in this case Rancho Santa Fe and perhaps La Jolla. Could Escondido be on the agenda? Be still our hearts. Sources initially indicated the president would follow golf at The Bridges with a Sunday night stay at one of the world’s top luxury destinations, Rancho Valencia Country Club owned by a partnership headed by former San Diego Padres owner John Moores. 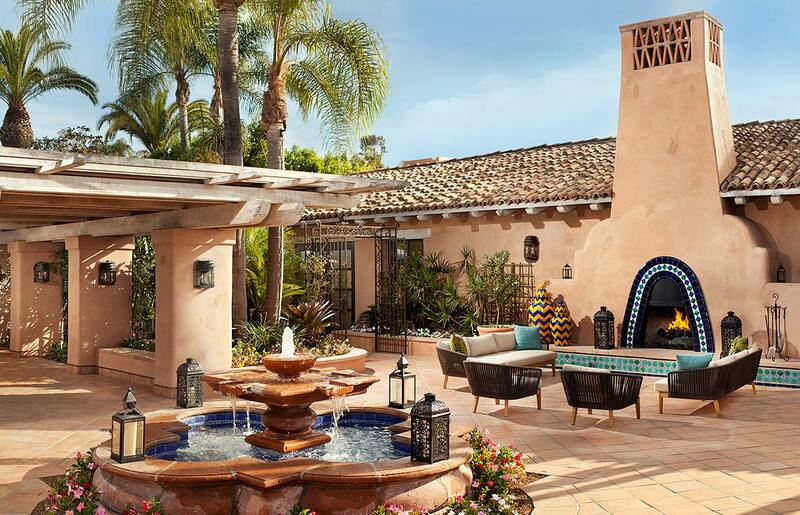 U.S. News & World Report called Rancho Valencia the top resort in the nation. Rancho Valencia features one of the nation’s most luxurious spas — along with the Golden door in San Marcos — sure to be a hit with Michelle Obama and the kids. Its tennis facilities, pros and programs also are among the top in the nation. Rancho Valencia Resort named #1 in the nation by U.S. News & World Report. Neither club nor resort confirmed the visit as of late Friday, however. Other sources also speculated Obama would follow up his well-noted 2004 trip to Qualcomm co-founder Irwin Jacobs’ palatial La Jolla mansion and 2014 private fundraising event last at same mansion with more of the same this weekend. The Washington Times, a conservative newspaper founded by the Unification Church’s Sun Myung Moon, said President Obama would swing through Seattle, San Francisco, Los Angeles and San Diego through Monday. Before filling that agenda, The president would meet privately with victims of America’s latest mass shooting incident at Umpqua Community College in Roseburg, Ore. The presidential party would go from Oregon to Seattle and an appearance at a Washington State Democratic National Committee event along with luncheon for Sen. Patty Murray. Then, it was off to the Bay Area for a fundraiser for the Democratic Party headlined by Kanye West. On Saturday, the president would attend three fundraisers including one anchored around a discussion hosted by director J.J. Abrams at his Los Angeles home. A concert by an undisclosed performed would headline a fundraising dinner at the home of interior designer Michael Smith and his partner, James Costos, U.S. ambassador to Spain. After that, be on the look out for a long, long motorcade from Miramar to Rancho Santa Fe. It just might contain the 44th President of the United States Barack Obama.